I am finicky about Makeup hygiene, Makeup Storage and Anybody touching my makeup. For two reasons: Hygiene & Longevity! And to be honest I do not abide the regular discarding rules that I often read on Pinterest or in Magazines. I have been extra concerned with my makeup ever since, I started stockpiling on requisite products. But before everything else, I would like to mention that I never touch up Makeup (ever) except lip balms. And if I would, I keep a separate compact/lipstick in my bag which has to be sanitized ever weekend. The nuisance I create definitely puts everyone off but who cares, I save some zits there, you see? 1] Store your Makeup in Cool and Dry/Dark place. texture/colour/consistency. When I say Cool place, I don't mean refrigerator. And away from humidity. Humidity is the real reason why fungus develops on oil-based makeup products. Avoid direct sunlight on your vanity, if you use clear or open storage make sure you keep them covered. Shelf Life is often mentioned on the package in bold and is well known. 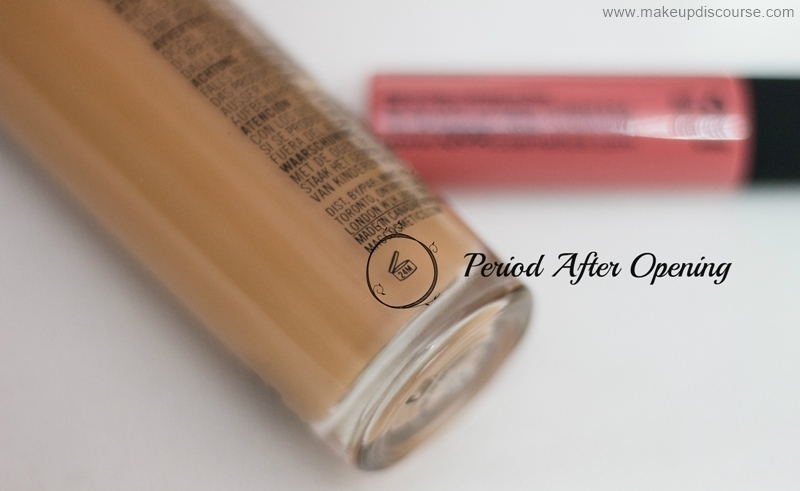 Some brands also display PAO life on the bottom of the product. 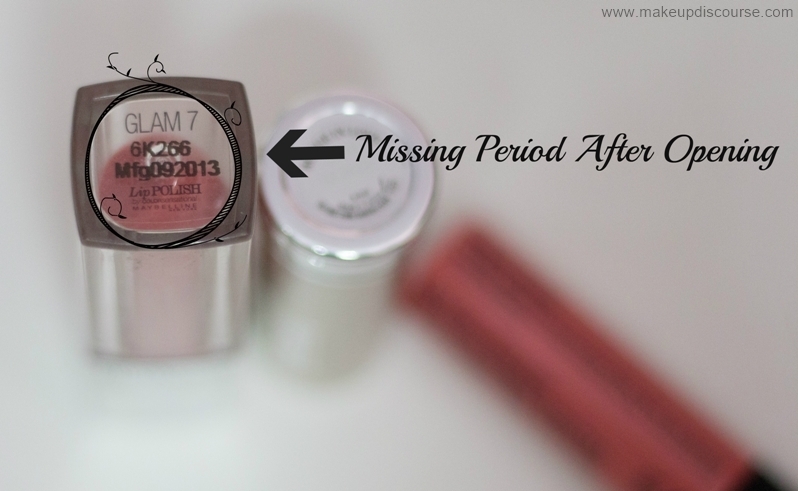 Indian brands or certain brands sold in India do not label Period After Opening symbols for instance, I have attached a picture of Maybelline Lip Polish with missing PAO. I am a fussbudget and no amount of sanitizing would ever convince me. But once a month, I take out all my makeup to disinfect them, have a small talk over teatime and ofcourse put them to sleep with a lullaby. =) Sometimes, I go overboard and disinfect them from the inner rims, outer package and clean all the fall outs on sides and make them shiny new. For instance, If I am running out of time I would just sanitize the makeup I have used in past few weeks. I keep them rolling with weeks and months till I am bored. When I got hold of my 10-15 liquid lipsticks, I made sure I don't use the wands directly on my lips. 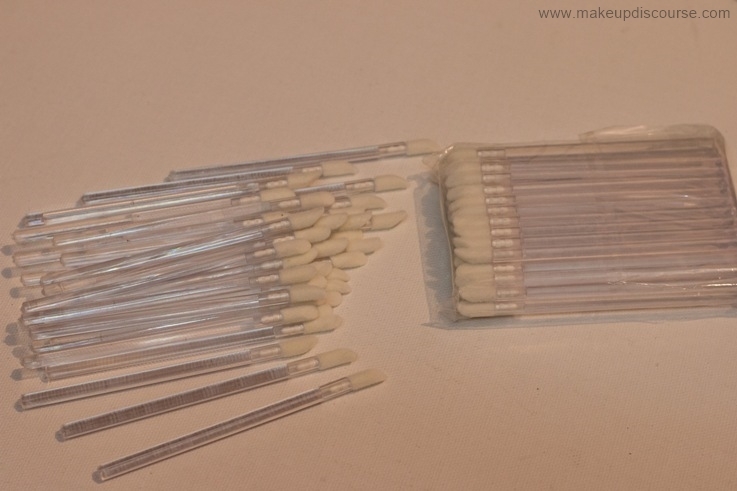 So I got these disposable wands (100s) to apply my Lipcreams and Liquid Lipsticks so that I get the liberty to stretch the Period after opening period of my liquid lipsticks. Also I use Q-tips or spatulas to take out moisturizers, scrubs or anything with tub packaging. Even if you have been taking all the measures of not letting any aliens in your makeup. But if you are keeping them open and exposed for too long, that could disrupt the measures. At times (not always) I disinfect the pumps of foundations ( hello you dirty MAC match master mouth!) with a sanitizing wipe. That's one of the things that drive me insane: dirty pumps without caps. Cream products should be tossed within 12 months (if unmentioned on the package), also making sure you don't dip unclean brushes doing rounds to your cheeks and pan again. Concealers with wands are probably time saver but the wand is unhygienic. It is better to discard them after 6 months of PAO. And if you'd be covering zits or blemishes, it is always great to use a brush along. I think I have covered all my visceral actions into a blog post but still I have a few things I like to mention. The only thing that I discard on time is Mascara/Eyeliner. Infested or Spoiled Mascara/Eyeliner can lead to stye or infection. Rest all the liquid Makeup Products, I stretch them until the texture change/oxidize/alters. Dip the bullet (only the bulbous part that comes in contact with the lips) into Dr Spirit and then wipe away on clean tissue. You could sanitize your eye pencils/ lip pencils too. Transfer Rubbing Alcohol/Dr Spirit into a spray bottle and spray on the surface, wait for the surface to dry and then brush off the upper layer with a clean brush. 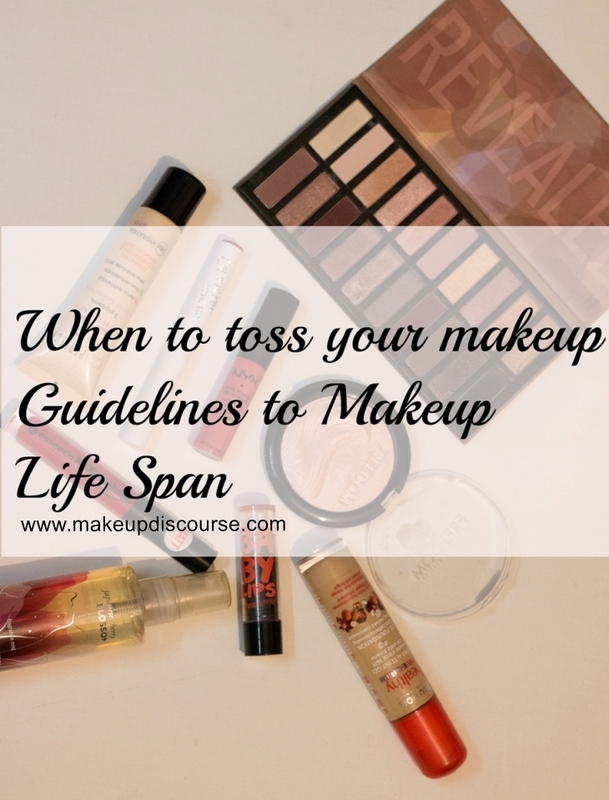 Following these certainly did take a lot of effort to develop the disposition towards makeup. You don't have to follow rules if you look after your makeup, you can make your own.